Ntobeko "Ntosh" Madlingozi is a South African entrepreneur and stand-up comedian best known as a judge on the SABC1 reality competition talent show “So You Think You're Funny!” Madlingozi holds a BCom in marketing and a diploma in PC engineering. Based in Port Elizabeth, Ntosh has performed at such comedy events as The Heavyweight Comedy Jam, the Blacks Only comedy showcase, the 99% Xhosa Comedy Show and Comedy 2008.He also is a regular performer at comedy clubs around Gauteng. One of his key strengths is versatility, able to cater for different audiences with equally hilarious material. Mandlingozi has shared the stage with a diverse array of comics, including Chris Forrest, John Vlismas, Tom Stade (Canada),Dwayne Perkins(U.S.A) Al Prodgers and Kagiso Lediga to name but a few. His fresh brand of in-your-face, laissez faire humour has found favour at various venues around Gauteng including The Box,Awednesday,Comedy Wednesdays ,The Bassline and others.He is a regular performer at the comedy clubs around the country. 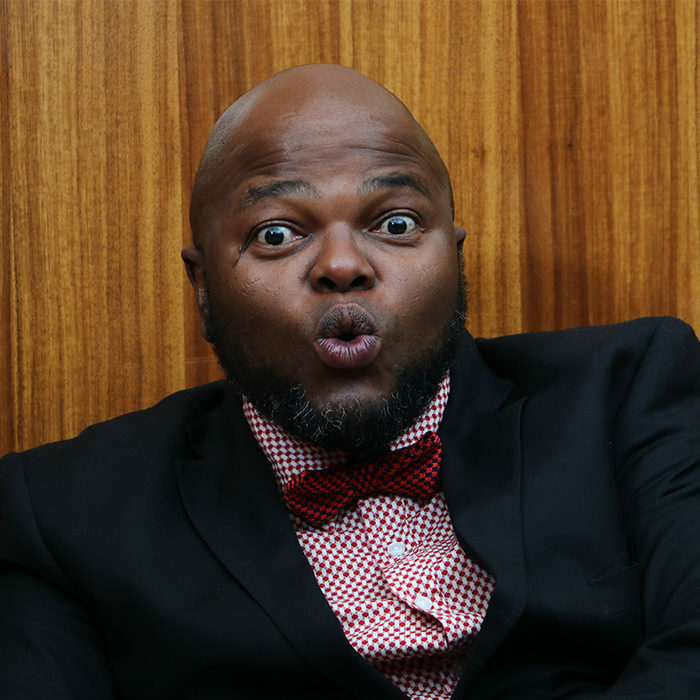 He has also performed for government clients such as the Gauteng Dept of Economic Development ,Sports and Recreation, Arts and Culture and corporate clients such as Nedbank ,Black Information Technology Forum(BITF),The Billionaire Group,FNB ,Gijima AST,Black Management Forum to name but a few. One of his key strengths is versatility, able to cater for different audiences with equally hilarious material.